Call Dr. Carley to Reverse Vaccine Induced Diseases at 812-581-0530. 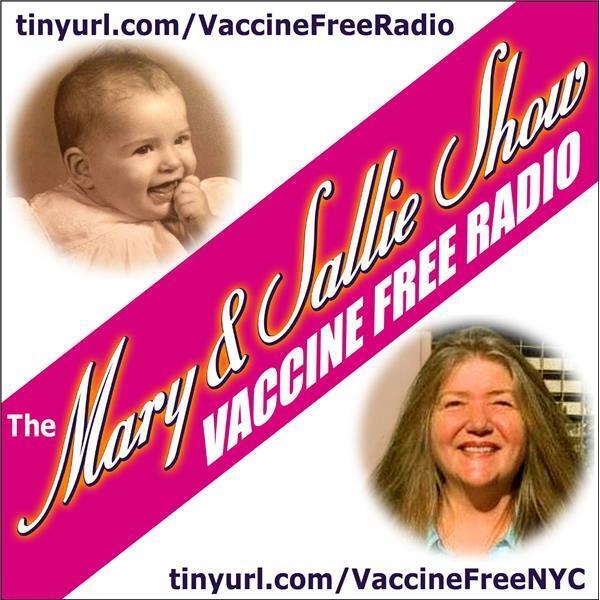 Contact Host Sallie O. Elkordy @VaccineFreeNYC on FB. Short link to this program: http://tobtr.com/s/10948327. Contact host on Twitter @OWvaccines. Contact Host Sallie O. Elkordy at www.facebook.com/VaccineFreeNYC. . VACCINE LIES, DAMN LIES - Repeal Smith Mundt Modernization Act Now! Revoluion for Vaccine Choice is Rhonda Apollo's roup on MeWe and on FB. Send her an e-mail if you wish to join. She will announce the address to send it to on air. Contact the host of this program at www.facebook.com/VaccineFreeNYC. Stop Not Caring: Vaccines Are Killing Our Kids!